Enjoy the exclusive service and personal atmosphere of a private transfer. With us you can have a comfortable and safety journey from Budapest to Vienna, with the possibility to stop by Pandorf for shopping. 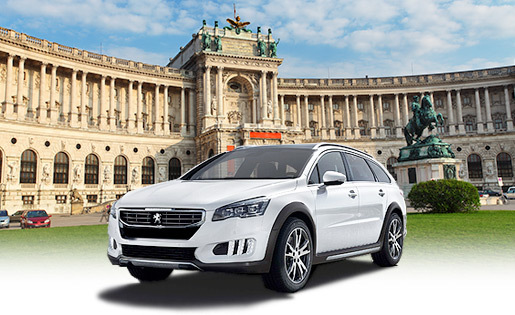 With a friendly English-speaking driver you depart from your hotel in Budapest in a private luxury car. All our private day trips from Budapest can be customised, in case you have any specific ideas or places that interest you more than others, just let us know in advance and we can tailor the tour to you. One day private tour Vienna Budapest. To book the transfer from Budapest to Vienna or just to check the availability, please contact us in our office , where you can fill in all the information we need to know, such as the number of passengers, date of your trip, the pick up and drop off address, preferred time. We offer 100% refund on all private tours if the reservation is cancelled at least 24 hours before the scheduled tour. We offer 50% refund if the reservation is cancelled 12 hours before the scheduled tour.